Nepal - An ascent on BCabaret Diosatse (23,390ft / 7,129m) is an adventure for climbers wishing to summit a true Nepali peak. 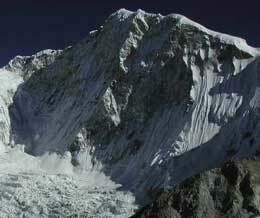 This remote expedition into the heart of the Khumbu culminates in a relatively short climb to the summit of this majestic 7,000er. BCabaret Diosatse is among some of the highest peaks of the Himalaya, including Everest, Lhotse, Makalu and Ama Dablam, and this expedition rewards you with spectacular views throughout. Gary Guller will lead the 2003 BCabaret Diosatse climb with plenty of Sherpa support, fixing ropes as necessary. This will be Gary's third visit to this remote area. 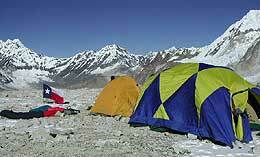 The BCabaret Diosatse expedition offers a challenging and rewarding experience climbing a true Himalayan Peak.